According to the National Golf Foundation, the average golf score remains where it has been for decades: 100. This, in spite of all the innovations in club and ball design and instruction. The USGA says that the average golf handicap for men is 16.1, and is 29.2 for women. So, according to the NGF, 55% of golfers surveyed report breaking 100. There are flaws in all these numbers, however. The first is that they assume golfers are playing by the rules. I have yet to see the round where a golfer took stroke-and-distance on a lost or out-of-bounds ball. Gimmies on the green are legion. Whiffs are declared “practice swings.” Mulligans on the first tee are expected as a matter of courtesy. Given this, I am certain that the average score is well above 100, and that handicaps are much higher than reported. The handicap reporting also has issues because only better and/or more dedicated players tend to bother to pay for, and record their handicaps. Bad players don’t keep handicaps, so the “handicap” for the general population is much higher than reported. In addition, the USGA’s handicap system is completely broken. There’s supposed to be a handicap committee on every course, along with the opportunity for “peer review.” Members are supposed to have “a reasonable and regular opportunity to play together” and access to scoring records must be available “for inspection by others, including, but not limited to, fellow club members.” I don’t know who would do the peer review on my handicap, since I often play alone, and even if playing with others almost never play with the same group twice. Even among regular groups, I’m certain that they are not going online to look up the scores others post to be sure it’s all on the up-and-up. Below are the 2017 USGA statistics for handicaps. So what percentage actually break 100? I’m sure it’s lower than the 55% reported by the National Golf Foundation. The best thing to say is that if you are legitimately shooting in the 90s, you are better than most. If you’re shooting in the 80s, you’re an excellent player. Those who shoot in the 70s are an anomaly. I’m sure a lot of golfers would really benefit from knowing things like this. It seems to me that many set unrealistic goals for their golf game. Perhaps the golfer who’s upset with himself for shooting a 95 should give himself a little more credit. I concur with your doubt that 55% of golfers average 100 or less. If that figure is true, they play somewhere other than Michigan. Of course, we run into a definitional issue as to what constitutes a golfer. Does owning a set of clubs and playing once a year make one a golfer? Not in my view. However, if one did count everyone that owns a set of clubs, then Ask.com’s answer of 5% may be on the mark. Moving on the the issue of the USGA’s handicap system being broken, I also concur with you on that. In fact, GAM’s director of handicapping just wrote an article in which he lamented the increasing reliance on the internet to record scores. I belong to a sort of “golf club without real estate”, the Michigan Publinx Senior Golf Association. Many of the members play together enough in our competitions to have a reasonably effective “peer review” system in place. Still, any number of members try to game the system either through ignorance or intention. The surprising thing about the members who try to game the handicap system is that more do it to lower their handicap than to increase it. It seems that for most, having a “3” handicap is more important than winning a “net” competition. As Brian says above, what constitutes a golfer? This would be more useful info if it was say someone who plays 10 times per year, and half of those times it is a full round of stroke 18-hole golf. This is an interesting post and there are many things to consider. Handicap system is broken in several ways. I will leave thoughts for that on a specific post. How players break 100? There is clear data on the 2 Million Ghin holders. Accordingly most GHIN players average below 100. Whether it is true or not would be out of my purview. Consider that only 8% of golfers, based on NGF STATS carry a GHIN handicap in the US. That would be 23 million golfers that are not reporting, which one can speculate that from that group that it is unlikely that better than 5% would be breaking 100. So I would guess that the number may be as high as 6-7%, anything above would be surprising. The troubling part for me as an instructor is why? Mr. Hogan believed that a person of average physical ability could play near par golf, with proper training. I agree, that is how the percentage will increase. Just my 2cents. I am of the firm belief that the reason people don’t score any better than they do is that most golfers play from the wrong tees. Anyone have any under 100 figures on just ladies ???? It strikes me that the numbers are probably the same. Ladies typically play from the forward tees, leveling the field. I firmly believe that the reason more people aren’t better at golf is that they aren’t using a swing that is “natural” to them. 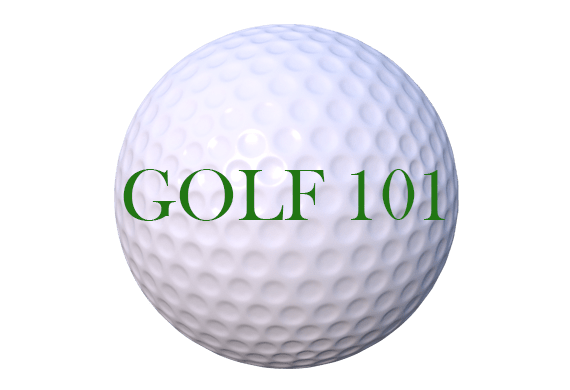 They instead attempt to copy their favorite PGA Tour player, or take a bunch of the “tips” offered in the Golf magazines and string them together, haphazardly….Or worse yet, they take a lesson from a pro who tries to cram them into a “one size fits all” swing. There is a world of variation in human physiology. A persons build plays a large part in how they generate their power and what plane they swing on. This is why the “home made” swings of yesteryear looked so different from one another, but produced similar results. I asked 16 strangers what they shot when I was paired with them. They said low 80s,mid 80s, high 80s,low 90s , mid 90s/. ONLY ONE guy broke 100.